It’s been a while, let me firstly apologise and then I’ll tell you all about the little whirlwind tour I’ve been on. With the vacuum of space and time in the fashion world and that vacant gap in the run up to the next Fashion Week season, there’s isn’t a lot that has me excited style wise. 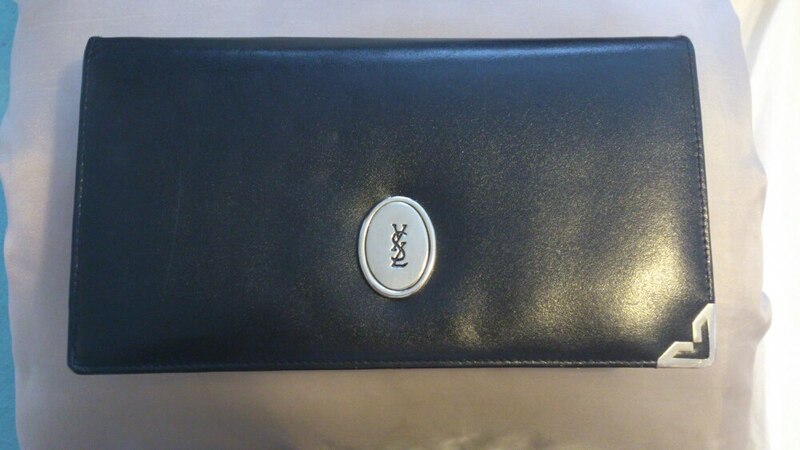 I do however, want to share with you the A-MAAAAAAAZING new YSL vintage clutch that’s been teaming itself with practically all of my wardrobe choices. She’s so pretty and it goes without saying, you should have at least one vintage accessory in your arsenal as timeless pieces are sometimes what can make your look stand out from the crowd. 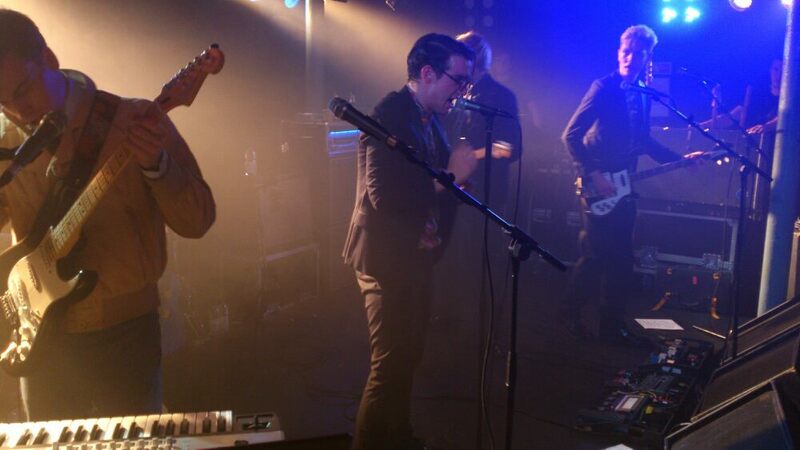 Last week was a pretty cool week, I work freelance as a writer and the editor of Flush The Fashion asked me to review the band Spector, which was pretty awesome. They’re a cool collective with an 80s new romantic revival and a sound that is brilliantly listenable. To top it off, I had the chance to interview them for the magazine which was amazing, such a great set of guys, with the sharpest style ever. You should really check them out! Hot off the heels of their tour with Florence & The Machine and their very own set at this years Coachella, I was nervous but soon relaxed as the interview turned to karaoke classics and their time in America. So, after a week of floating around the ether, I’m back and I hope you like what I have in store for you all…. With the increase in the ‘angry eyebrow’ seen of late, the beauty of a beautiful brow has become somewhat of a taboo. It really shouldn’t. A good brow can be the make or break of any make up look and for those who know me, I’m rarely seen without grooming mine. Here is a rundown of some of the best brow products I’ve found. First has to be my all time beauty must have. Bobbi Brown Brow Kit. I’ve talked about this before and my annoyance at it becoming discontinued, however the lovely people at Bobbi Brown have released it as a limited edition and the waiting list is ridiculous. However if you are lucky enough to get your hands on one of these little brow savers, you’ll find that whether you have light hair or dark hair the sable and mahogany palette will suit either shades. My advice however, would be to avoid using the mini brush that comes with it as you can easily end up applying too much product, instead use a MAC 266 for a more precise and even application. 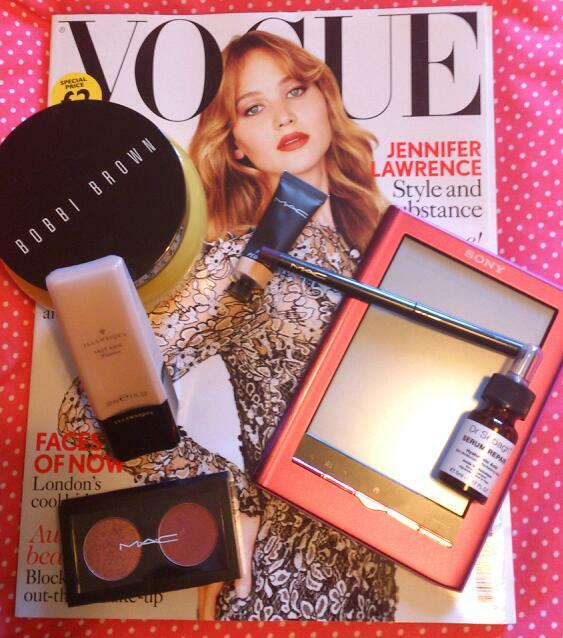 Sticking with the Bobbi Brown theme their Natural Brow Shaper is like a magic wand for brows. Sometimes I could cringe at girls who have over drawn eyebrows. They have no definition or texture. By applying the Brow Shaper to subtly filled in brows, you will be left with a more natural and eye pleasing brow, rather than an angry black slug. Remember, the shape of your eyebrow can make or break a look. Often brows are over plucked or untamed and this can really ruin a makeup look. As I have naturally bushy brows, I find its best to brush the brows upwards and trim along the top line to create a neat even brow. Recently, I’ve trusted my sister to thread them and it’s a practise that i would fully recommend. However, be careful to only allow somebody who is trained to thread as you could end up with patchy eyebrows: my worst nightmare! Smashbox Brow Tech Wax is another of my must have brow products. This is more so for the girl who has unruly brows. 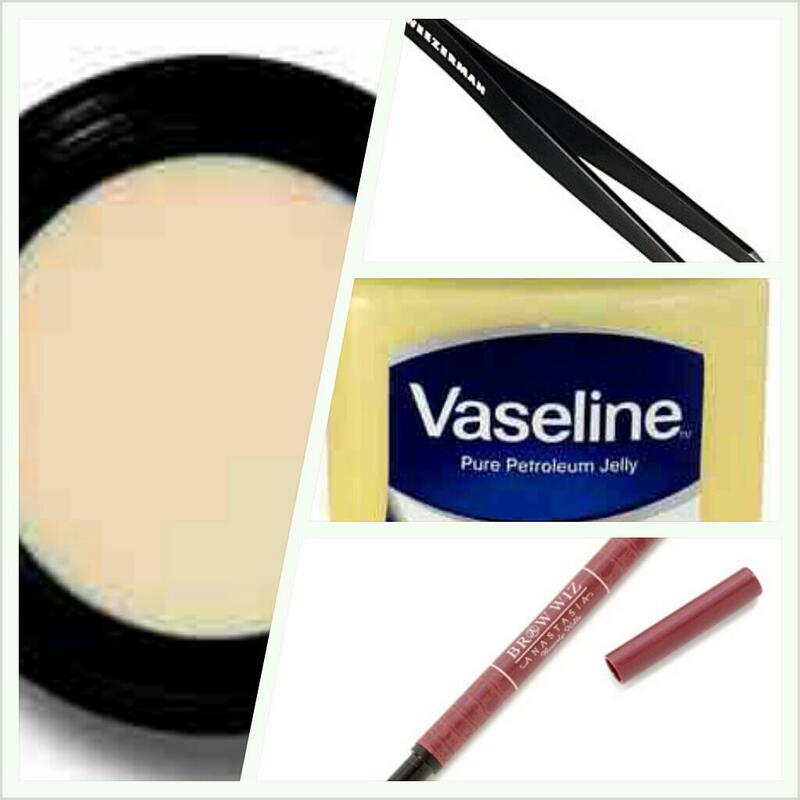 A colourless wax, it’s used to keep brows in place. For perfectly defined and groomed brows, I’d recommend investing in one of these! Most fashions move at a pace so fast that its gone in the blink of an eye. The true test comes with time. From Fashion Weeks to High street, trends transcend the whole spectrum of couture to copy – cat in a matter of weeks. Its filtered down so much that cheap interpretations flood the market, making it near on impossible to keep your own style personal to you and more importantly: Unique. I find that Fashion week is a huge inspiration for me however, the trends that are a result of new collections don’t dictate what I should be wearing. I don’t wait to see what the High Street has to offer, I trawl vintage shops and find my own version of what I think suits my own personal style. When shopping, you should look for items that you genuinely like. I find that the most stylish women aren’t afraid to altogether boycott the latest trends and champion a look all of their own. I’d describe my own personal style as ‘classical quirk’. I’m inspired by the Hollywood greats but not necessarily your Marilyns or Audreys. Doris Day is my ultimate style icon. Her ability to own an androgynous style one minute and transform to the epitome of elegance the next is how I hope my style can one day be described. 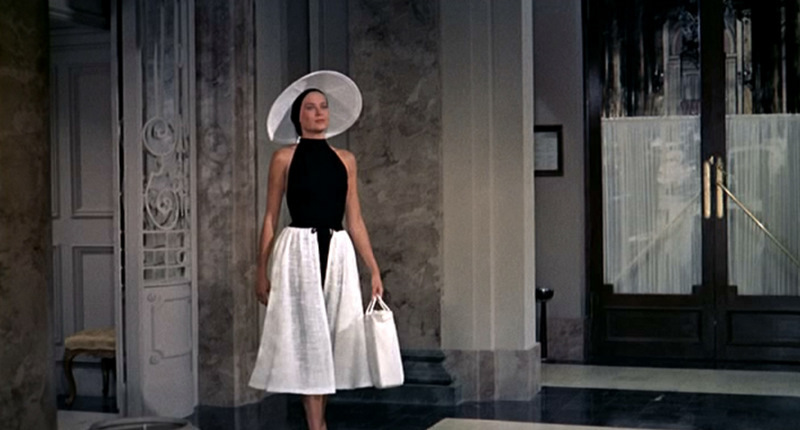 Next month I’m visiting the V&A Museum in London with one of my good friends, the home of some of the most classic styles and it’s here where looks are as relevant today as they were when they were first worn; looks that surpass any ‘trends’ that have been a flying fancy and only lasted a short while. It’s here that girls who are inspired by a vintage look should certainly pay a visit. With the chill of Autumn making itself at home, it’s time to clear your shelves of any beauty products that don’t give you the levels of moisture this weather demands. So many brands promise high levels of moisture and disappoint, leaving you with dry flaky and miserable skin. Autumn and Winter are the months that require you to truly pamper your skin. Think oils and heavy lotions and you’ll be sure to be onto a winner! It’s all about indulgence and here are some of the best on the market. When looking for oils, opt for something that is light. Tom Ford Neroli Portofino Body oil is a lightweight elixir combined with the signature citrus scent of the Neroli Portofino Parfum. The opposite goes for choosing a moisturiser. Lotions tend to be too light in the fight against dry skin. I find the thicker the moisturiser, the bigger the fight against moister loss. So, forget wrapping up, you’ll be wanting to flaunt it. Your skin will love you, believe me. 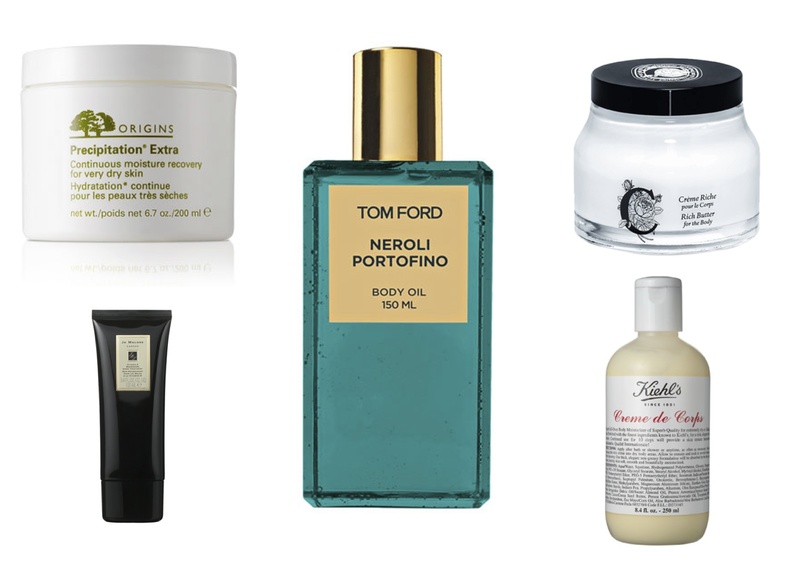 Origins Precipitation Extra, Jo Malone Hand Cream, Diptique Rich Butter, Tom Ford Neroli Portofino Body Oil, Kiehls Creme de Corps. Hiding in the small town of Widnes, there is a hidden gem for all things vintage. Lucky Cat is the brainchild of fashion lover Jules Tobin who wanted to combine her love of vintage and her global experience to bring one-off pieces to other fashion lovers. What a treat it is, to have a mix of some of the best one offs and designer treats in a small Northern town? Here, Jules discusses her influences and inspirations. I’m sure you will be as inspired as I am and fall in love with her vintage treasure trove, Lucky Cat. What/Who influenced you to want to sell vintage? Travel has been a key influence in my love of vintage clothing. It began in Barcelona where I would rummage around the shops in the Raval district with a tight spending budget. Weekly trips to the markets in Hong Kong with my friend, stuffing our bags with beautiful one-off pieces was where my inspiration was founded to sell vintage. I’ll never forget the excitement of spotting an original Lanvin blouse in HK, Chanel quilted backpack in Cambodia and Chanel brooch and pearls at a flea market in Miami. My number one style icon would have to be Alexa Chung, I love the way she puts outfits together and mixes high fashion with low-key wardrobe staples. Her style isn’t dictated by current trends but she manages to address them with her own personal slant. Also for me, Edie Sedgwick defines an era of iconic style. Lookbook.nu is a great source for inspiration, capturing an eclectic array of worldwide style. Being inspired by your surroundings and street style allows you to appreciate individual style which is applicable to real life. Living in Moscow, I would be in awe at the pristine, svelte women who would sashay onto the metro with effortless poise. The traditional dress of Chinese villagers, the kitsch design spurred fashion of Bangkok. Every destination is an opportunity for inspiration. My own personal style isn’t consistent to one particular look. I have lots of fun putting together outfits according to the occasion and what I fancy wearing on the day! Some days I might feel like dressing down in a slouchy knit, tights and lace up pixie boots with my favoured oversized military jacket. Other days I might want to channel a more designer influenced look, more polished and less scruff! Fashion for me is fun and a form of expression, always stay true to your own personal style and choice because you might be one step ahead of the latest trend! I love the classic and unmistakable allure of Chanel monochrome and tweed. Timeless pieces which can be forever adored. I’ve always had a love of Emilio Pucci, for the vibrancy of their designs along with the intricacy of Missoni. Burberry never fail to inspire through their constant reinventions of their coveted trench. I also love the way Dolce and Gabanna merge their Italian heritage with the glamour of high fashion so successfully in their advertising campaigns. Early memories include plenty of dressing up in my auntie’s 80’s clothes. My sister and I would have hours of fun and trying to make evening dresses out of bed sheets! I also recall begging my Mum for a red dress with polka dots on from Pretty Things in Widnes. As I got older I became more aware of current fashion but I always like to be unique and not be dictated by trends. Fashion is definitely one of my biggest passions as it allows each individual an outlet for creative expression. I love a bargain and for me fashion isn’t about spending lots of money on a designer item, its about rummaging and searching for those special one off pieces. I feel very lucky that I’ve been able to turn my love of fashion into a career. What advice would you give to young fashionistas who haven’t worn vintage before? My advice to youngsters who haven’t worn vintage before is to be open minded and true to your own inclination of what you like. The joy that comes with shopping for vintage is that you can walk into a vintage shop and come across a garment or accessory which is so unusual and unexpected. Its this uncertainty which allows a vintage shopper to get a totally different shopping experience to somebody who sticks to the high street. Shopping on the high street can be predictable, and everything is in mass. With vintage you are able to appreciate a whole host of different fabrics, designs, and styles which can appeal to individual preference. There term ‘vintage’ is so broad that not every item will appeal to a vintage shopper, find your niche and a comfort zone to begin with. A classic vintage look with a contemporary twist for this season could be some levis re-worked denim shorts, a check flannel shirt, lace up leather pixie boots and a military parka. What is your favourite trend for AW12 and how easy will it be to recreate this using vintage pieces? I love the Oriental trend which has been so prominent in the fashion forecasts for this season. I was extra happy that Lucky Cat’s launch coincides with the Asian themed trend! Search the racks for sumptuous cherry blossom silks, embroidered granddad collar blouses and kimono dresses. Or tackle two trend at once by cinched berry shades in with an obi belt. Probably the Lanvin blouse which I picked up in H.K. The design is so beautiful and intricate and the quality is undeniable. Oh and my favourite accessory has to be my YSL gold earrings which my friends bought me for my 22nd birthday! Do you think designer vintage pieces are a must have for any fashionista? I think that its definitely nice to have the odd designer piece in your wardrobe collection but only due to the quality of the design and fabric. I don’t like the concept of style being judged by labels, its how the individual chooses to wear something and add their own slant which defines a winning look. Wearing a vintage designer piece allows you to feel extra special knowing that you’re continuing its legacy. What is the best way to wear vintage if you’re new to it? If you’re new to vintage don’t be afraid. Not all vintage equates to garish fabrics and dynasty worthy shoulder pads! Get into the mindset of rummaging and going with your gut instinct about something which you genuinely like. Vintage shopping can be really liberating in that there’s such an array of items to choose from that re-inventing your look and injecting some originality is easily achieved. It allows you to think outside the box and get creative with your styling, use your imagination! Why would you encourage people to wear vintage? Vintage clothing allows you to be unique and original as well as eco friendly. Each piece is a pre-loved possession ready for the next chapter and new wardrobe. Vintage fashion enables you to experiment with different era’s, fabrics and as I mentioned above, it allows you to use your imagination. Where do you look for style and inspiration? I look for inspiration through my environment, books, street style, music, fashion blogs, magazines, instagram, film, culture and perhaps most importantly, travel. If you could own any item of clothing or accessory, what would it be? It would have to be a vintage Chanel quilted black leather waist pouch. Compact, practical and the ultimate finishing touch to any outfit. What inspired you to open ‘Lucky Cat’? I have been collecting vintage clothing and accessories for around 3 years now and after returning home having lived overseas since finishing University I began to sell on Ebay. I also did some vintage fairs and my Dad mentioned that perhaps the next step would be for me to apply for a stall. Vintage clothing is an untapped market in this area, most people have to venture to Liverpool or Manchester so I decided to take the plunge! I’ve always dreamt of having my own shop so for me its been so exciting to bring the vision to life and see it develop. Where did the name ‘Lucky Cat’ come from? The name ‘Lucky Cat’ came from my friend Stephanie. We’d been for our usual rummage at the night market in H.K and afterwards we went for a drink and pulled out our new finds. We were throwing ideas about for potential names for the business when Steph came up with Lucky Cat, it was perfect. With reference to Hong Kong it enabled the customer to know that their purchases had come from Asian origins and was a unique concept to the U.K vintage market. What do you look for when choosing vintage pieces? I handpick all of my stock therefore all garments are items which I personally love and would wear. Searching for vintage for me is instinctive and I trust my own judgment. It was important that Lucky Cat didn’t slip into the category of other vintage shops where there is an ‘anything goes’ type of mentality. I always check that the garment is in good condition without flaws, functioning zips, lined etc. The item must be made from quality fabric, have unusual detailing and design. I also take note of upcoming trends to inject a collection feel to my stock and a consistency in stock layout. Anything eye catching, unusual and quirky gets my vote! Backstage at a fashion show is where most of the magic happens. With the hustle and bustle of girls dressing amongst a cloud of organised chaos, make up artists are creating their own masterpieces ready to parade down the runways alongside the designer’s collection. This year, there hasn’t been any beauty trends that have really caught my eye. With a heavy emphasis on minimalist make up, there haven’t been any looks I’ve been itching to re-create. So it’s because of this I’ve decided to delve into the archives of previous seasons and recreate a look that can mould well with what is on offer for SS13. A look that diffuses well over the face and will suit a whole range of skin tones, Chloe’s fall 2011 campaign has the sepia hue that compliments the reds and other warm tones seen of late. To start with, choose a foundation with a dewy finish. One of my faves has to be Illamasqua’s Skin Base, it gives a brilliant coverage and doesn’t wear too heavy on the skin, leaving you with a healthy complexion. Next, onto the cheeks, look for a very sheer bronze, nothing too much. NARS Miss Liberty would be perfect, sculpt the face by running it down the back of the cheekbone very subtly, this look is all about the eyes so go easy with it. 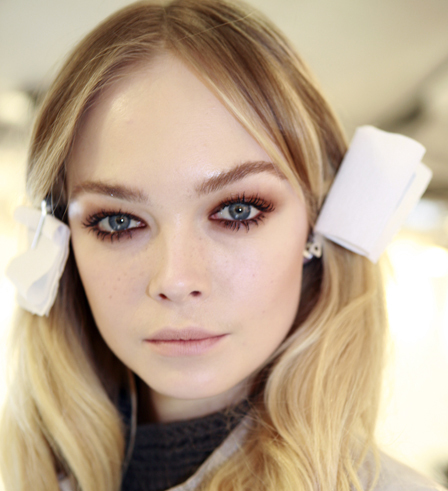 Set with a translucent powder, go lightly though, you want to keep a bit of the shine, it’s all part of the look. Moving onto the eyes, Mac have recently launched an eyeshadow duo in ‘on the hunt’ which would be perfect for this look. Be careful to blend properly, there’s nothing worse than unblended eyeshadow! Bring the redder shade under the bottom lash line aswell as the top lid and finish with Dior Show new look mascara: perfect for creating length and curl to lashes. Finish with MAC’s boldly bare lip pencil softly blended and then add a coat of MAC’s pretty please lipstick: gorgeous. With so much choice out there, it’s so easy to recreate looks from seasons past and present, so what are you waiting for?! Get your make up wands out and create some magic!